BJP president Amit Shah said on Sunday that the government led by Prime Minister Narendra Modi would extend the National Register of Citizens (NRC) across the country once it returns to power in 2019. In public meetings held in Rajasthan and Delhi, the BJP president said that the NRC will help in identification and deportation of all illegal immigrants from the country. 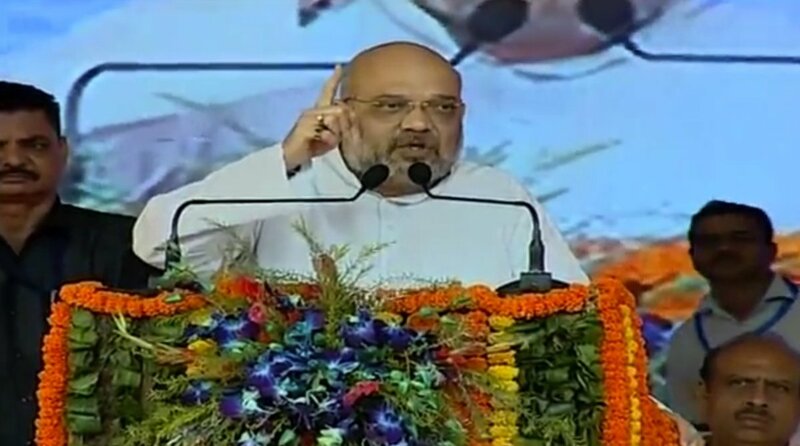 Speaking at Gangapur in Rajasthan’s Sawai Madhopur district, Shah accused Congress and other opposition parties of playing vote-bank politics over the NRC. Shah went on to credit the BJP government with publishing the NRC and identifying “nearly 40 lakh” illegal immigrants. “It will now pick out each and every infiltrator,” he said. Referring to a character in the Ramayana who possessed a foot that even demon king Ravana could not move, the BJP president went on to describe the Vasundhara Raje government in Rajasthan as an unshakeable “Angad ka Paon“. “The Congress cannot help the country because it has neither a leader nor a policy,” Shah said, adding that party president Rahul Gandhi should deliver an account of what his own family has done for the country in the last four generations before asking the BJP to list out its achievements over the last four years. He claimed that Rajasthan had been a “sick state” before Raje opened its doors to progress. He later addressed BJP’s social media volunteers in Kota. In Delhi’s Ramlila Maidan, Shah accused Delhi Chief Minister Arvind Kejriwal of stalling the development work in the national capital. He said that Kejriwal was “speaking lies boldly and publicly”. The BJP president, who was addressing the Poorvanchal Mahakumbh rally, again played the Assam NRC card stating that there are “crores of illegal immigrants who have entered the country and are making the country hollow from inside”. “When the NRC issue was being debated in the Parliament, Rahul Gandhi and company started making noise in the House. They raised the issue of the human rights and others. The SP, BSP and AAP also raised objection. Why do Rahul Gandhi, AAP and others have issues on illegal immigrants? Because they do vote bank politics. But we don’t do that, as for BJP the nation comes first,” he said. Commenting on Delhi’s development, Shah said that the Modi government gave over Rs 50,000 crore to the Delhi government. 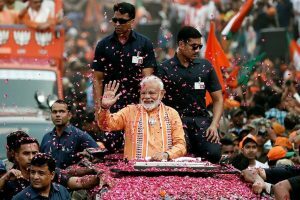 “But look at the promises that you made to people and tell that how many promises have been fulfilled,” he said pointing at the Delhi government. Shah also said that after 2019, when the BJP comes back to power those immigrants would be identified. The BJP Chief also slammed the opposition leaders for raising objections on the arrest of urban Maoists in Maharashtra. “When the Maharashtra government arrested those urban naxals the opposition leaders raised objections,” he said, adding, they were arrested as they had been involved in anti-national activities. “The best place for the anti-nationals is behind the bars,” he said.